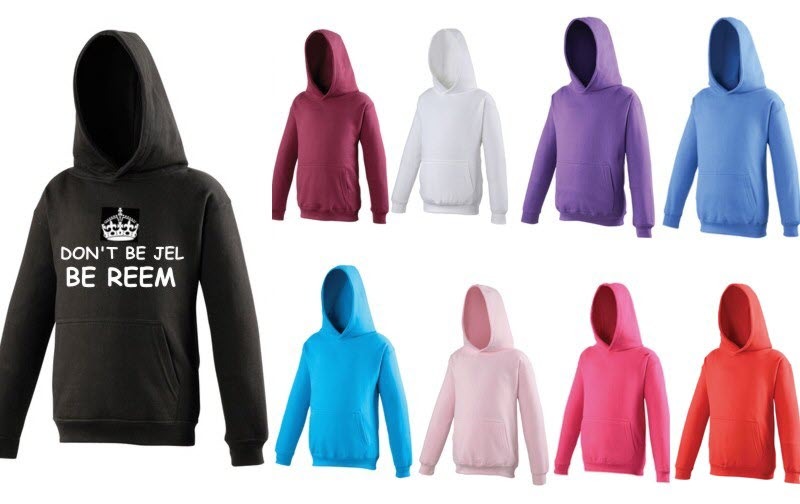 Don't Be Jel Be Reem Hoodies. Available in 9 colours - White, Black, Red, Baby Pink, Hot Pink, Royal Blue, Sapphire Blue, Purple and Burgundy. The light colour hoodies have black vinyl print and the dark colour hoodies have white vinyl print. You can also add your name to the back of the hoody for an extra £2.50. Please enter your name in the Customise box if you are having additional text otherwise leave this box blank.